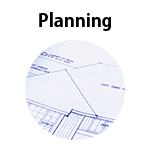 We work closely with a local, long established building planning services company who will visit your site with us and together we will provide plans and design advice for all type of residential or commercial work including new builds, conversions, extensions, refurbishments and flat conversions. If you already have sought planning advice then we will also be happy to double check and advise where necessary. 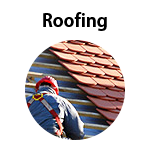 Offering a full range of roofing services from full replacements to minor fixes, guttering and drain pipe, facias and soffits we can give your roof the attention it needs. We are happy to work with any roofing materials and have built up good connections with suppliers over the years to provide your materials at a very competative price. Insurance claim quotations can be provided and urgent insurance work will be attended swiftly to ensure your property is water tight as soon as possible. With the recent planning changes more people have decided to add space and value to their home rather than moving house. We can guide you through the entire process. 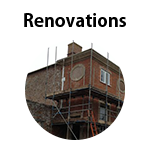 Working closely with you at every stage from the planning through construction to the fully finished and decorated extension. A loft conversion is another popular way to way to add value and space to your existing home. The amount of space which can be made available often surprises our customers and the end result can be a stunning room ideal as a master bedroom often with en-suite facilities. 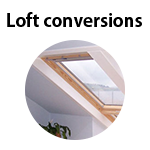 Loft conversions generally don’t require planning permission but it is recommended that plans are drawn up and submitted to the local authority as the work does have to be inspected by building control during the project. 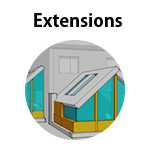 We have completed several loft conversions and have the experience to guide you through the project working to your specifications and handling all the planning and building control inspections for you. A full or even a partial property renovation can be a complicated process sometimes throwing up problems that have remained undiscovered for years. You need a dedicated team with experience and good problem solving skills to tackle a project like this and we can provide both of these. When done correctly, paying attention to the details and respecting the character of the property the end results can be stunning making all the hard work worthwhile. We love to take on such projects and get great satisfaction from seeing a tired old property transformed into something special. A property being renovated as a family home requires a different approach to one which is being renovated as a rental business. We have the experience to carry out either project. If left untreated damp and cause all manner of problems. When dealing with damp it’s often a case of catching the problem quickly and spending a relatively small amount of money now to avoid major problems in the future. Damp can damage much more than a buildings appearance. It may lead to the deterioration of plaster and masonry, promote timber decay and create unhealthy conditions for occupants. Unfortunately, inappropriate treatments for damp commonly cause greater harm to old buildings than centuries of degradation. 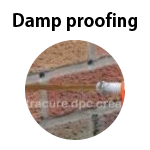 We have experience in dealing with all major causes of damp. So if you have an issue with damp, not matter how insignificant it appears at first, contact us for advice and a quote, it may save you more expense in the future. 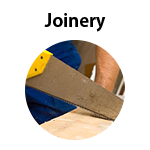 We are skilled, time served joiners who undertake all manner of carpentry and joinery work including kitchens (shop bought or bespoke), shop fitting, windows, bespoke work and much more. All our joiners are fully qualified and we have many satisfied customers. So if it’s a simple job like hanging a door or a full loft conversion your require then we can help. The finish on a job is so important. We have excellent plasterers on the team and we aim to leave the best professional job possible for both the client and any follow on trades. We undertake domestic and commercial plastering work and dry lining at competitive rates. Our professional plasterers are available for all sizes of job from plasterboard repair and re-skimming to stud walling and new build work. Our external wall work includes rendering with a pebble dash finish and K-Rend, which is a highly durable weather proof render available in a range of colours. We are skilled Joiners and joinery manufacturers. We undertake all aspects of joinery and bespoke work from Loft conversions to furniture manufacturing. 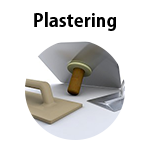 All aspects of roofing including, slate, tile, Velux window systems flat roofing incl GRP resin roof systems. New Builds and extensions, brick, block and stone work. Plastering, Rendering and pebbledashing. Flooring, timber, laminate and Tiled. Steel work supplied and fitted including RSJ's internal and external staircases, handrails, Pre Fabricated Building Suppliers, Bar fitting and restraunt fitting. Shop and Salon fitting, Fire protection work, Decking, Internal Doors, Staircases made to measure, tiling services and all other aspects of building work.